LC-SU106HS Full automatic Hot Stamping Machine is specially used for pens, lipstick tubes, tube caps, face cream bottle, cosmetics Package acse , bottle , plastic containers glass bottle etc. 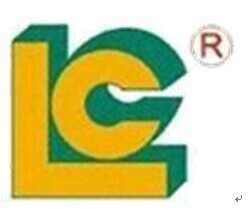 LC Printing Equipment Group Ltd is located in Guangdong Province, Dongguan City. It is only 1 hours by car from Guangzhou or Shenzhen. LC has been an industry TOP supplier of Pad Printer, Screen Printer, Hot Stamping Machine and the relative accessories supplies for 26 years. We have become well known by our customers and others in this industry due to our professional service and machine quality. We offer a full line of machinery. All our LC machines have CE approval. And our customer came from American, UK, Germany, France and other 98 different countries. We are sure LC is your best choice. Firstly wrapped by strong PVC film, then packaged by plywood case. Looking for ideal Hot Foil Stamping Manufacturer & supplier ? We have a wide selection at great prices to help you get creative. All the Pens Lipstick Tubes Tube Caps are quality guaranteed. We are China Origin Factory of Face Cream Bottle Cosmetics Package Acse. If you have any question, please feel free to contact us.